With the end of the year approaching, there's only one more SEB to come with new releases. 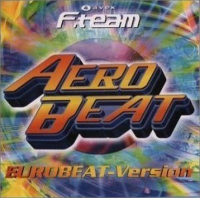 After years and years of having that XX9 album as the final nail to the coffin, this year 219 is sadly a nonstop and we won't be hearing new eurobeat for quite a while (at least provided by Avex). Either way, the decade is solidly heading towards it's conclusion and on the way there, we gotta fill in the missing spots. I was surprised at the high grade you gave Jungle Bill, but you hit the nail right on the head. It's also nice to hear Federicco Rimonti shine on a SEB disc.